The Manzoni is … a monastic dining hall featuring our new OPAL lights. Join us at Via Alessandro Manzoni, 5 Milan. FAT bar stool with MELT lights and TUBE high table. All Manzoni shows, open from Tuesday 9th April 2019 at 5, Via Manzoni, Milan. Hidden between the deep gorges and snow-capped peaks of China's southwestern province, our oriental marble is quarried in Yunnan & majestic landscapes. 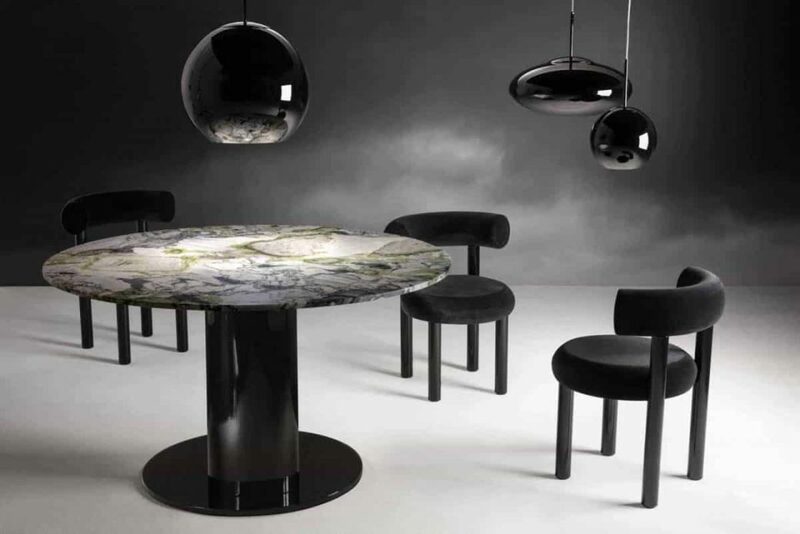 Named SPRING but often described as black, green and white metamorphic conglomerate, the marble is unusual two to its extreme random figuring and bold pattern. This is a table that is completely unique. We will show the new SPRING table tops on our new TUBE bases at The Manzoni at this year & # 039; s design week in Milan. The new, redesigned SLAB chair. 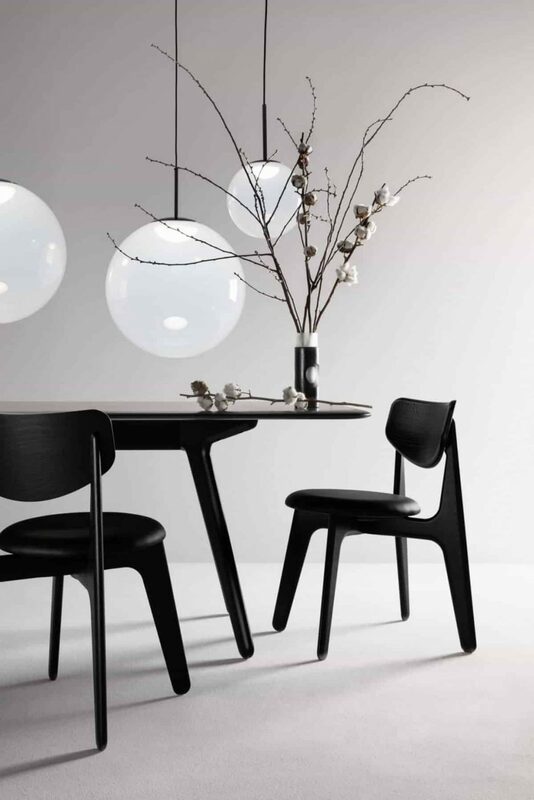 The wooden chair – when we decided to design a dining chair that sat comfortably with the SLAB range, we wanted to be humble but with personality, modern yet looking like it was always existed, familiar yet unique – and on top of that stacking and comfortable! I know, it took us a long time, as that turned out to be a particularly challenging brief. But we think we have it in the studio – an honest piece of skilled woodwork. Also pictured: OPAL light and CARVED vase. TOM DIXON: COPPER pendants fill a spiral staircase …. COPPER pendants fill a spiral staircase.